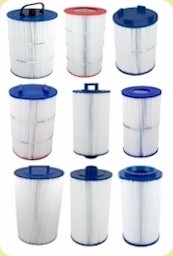 A Clean Filter to filter all the dirt, body oils and dead bacteria from the water. 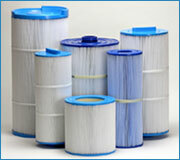 Clogged Filters don't work so you need to deep-clean or replace your filter(s) on a regular basis. 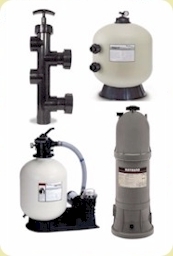 We carry replacement pool and spa filters for almost every make and model of pool or spa. 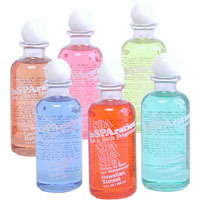 A Good Sanitizer to kill bacteria (you don't want a rash!). 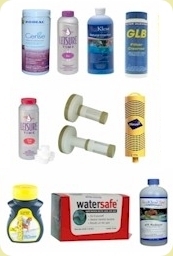 The most commonly used sanitizers are Chlorine and Bromine, and these are often used with mineral cartridges to increase their effectiveness. An effective Clarifier. Dirt, bacteria, flaked-off skin, body oils, makes your water dirty and cloudy. 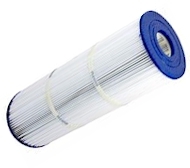 There are two types of clarifiers: 1) Shock which oxidizes these contaminants, dispersing them into the air or 2) Clarifiers which 'clumps these contaminants together', making them large enough for your filter to remove them from the water. 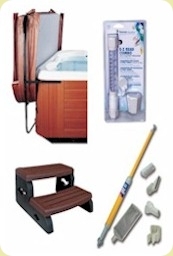 One of the most frustrating things for spa and hot-tub owners is keeping their spa water sparkling clean. Visit any spa-shop and you'll walk out confused by 23 different products - shock, oxidizers, bromine, chlorine, de-floccing agents, de-foaming agents, etc. 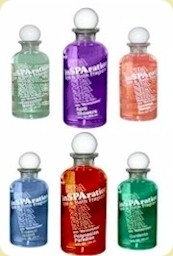 Once you're done with all that, your spa will smell like a chemical-factory. Fortunately, we've sorted through everything and developed our 3-step simple system for clean, sparkling water. 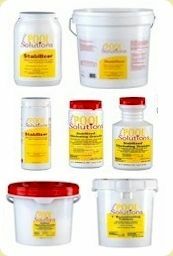 Here's the easy way to keep your water crystal clear and trouble-free without investing a lot of time or money. This is the most important and most frequently overlooked aspect of maintaining sparkling clean water. Your filters are the only thing which actually remove dirt, oil and other contaminants from your spa water, keeping the water crystal clear. The chemicals that you add to your water don't actually remove the dirt and oil - they just make these contaminants emulsify (or 'clump together') making them large enough to be filtered our by your filters. Over time, as your filters filter out the oil and dirt, the tiny pores in the filter material get clogged, and the filters become less effective. 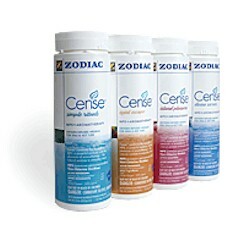 Over time, your water will get cloudy and dirty unless the filters are cleaned and these tiny pores are re-opened. If you've ever been in someone's spa and developed a rash afterward, it's because there was bacteria in the water which means that the water wasn't properly sanitized. 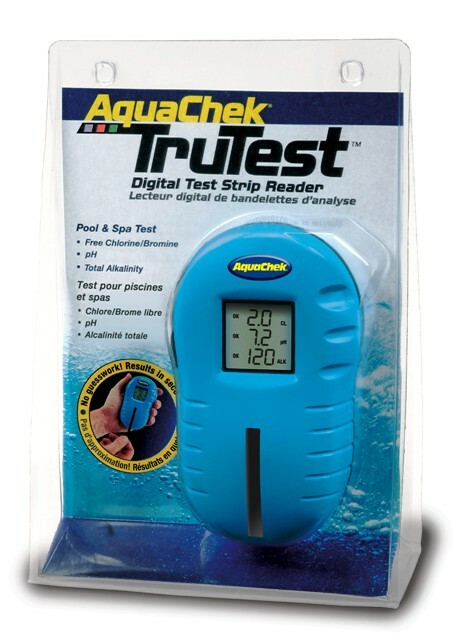 Fortunately, it's easy to keep the water sanitized - you simply make sure that your spa always has a supply of bromine, which is poisonous to bacteria. Even crystal clear water can be contaminated by invisible bacteria, so it's important to check your bromine supply whenever you are in the spa, and replenish it whenever it gets low. 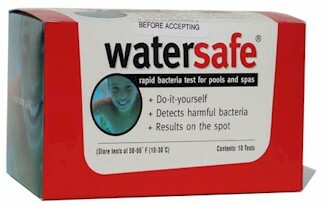 When you change the water in your spa, the water may look clean, but it isn't. It will contain some combination of rust, phosphorus, oil and dirt, all of which will make the water dull and cloudy over time. To have a crystal clean spa you have to start with crystal clean water, so whenever you change the water in your spa immediately treat it with our Spa-Magic cleaning formula which binds these invisible contaminants together so they can be filtered away. Once the water is clean, the only thing you have to worry about on an ongoing basis is body oil and dirt which gets into the water when you use it. To remove the body dirt and oil you need to do is to treat the water with Shock which burns off these contaminants or use a Water Clarifier to 'emulsify' (or 'clump-together') the body oils and dirt so the filters can filter them out. Remember - these additives don't really clean the water, that's the job of your filters - your filters clean the water so if the water's getting cloudy or dull, you need to change the filter. That's all there is. Follow these simple steps and your spa will always be sparkling clean and inviting for you, your family and your friends.